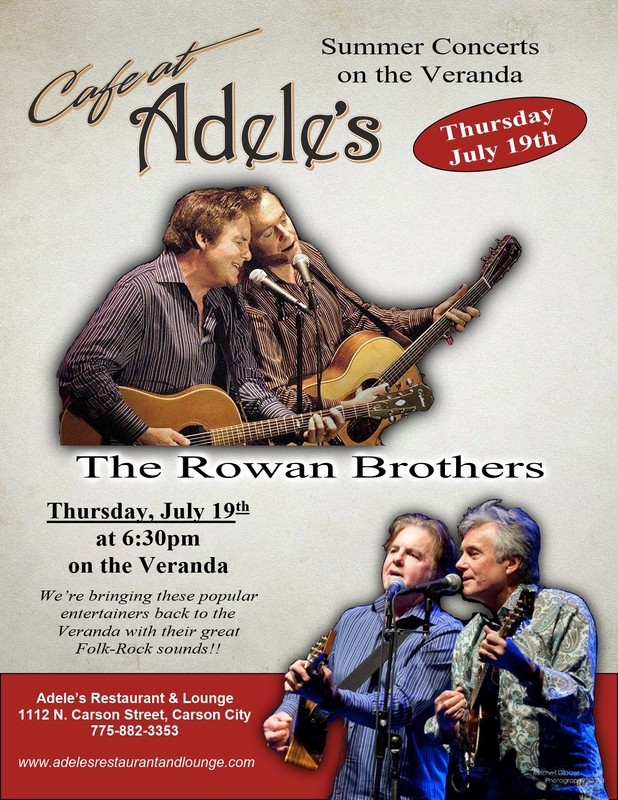 Nothing announces the arrival of summer like the kick-off of the Summer Concerts on the Veranda Series that begins each summer and continues through September at Cafe at Adele’s. Showcasing both local talent and music legends, the series offers a wide range of music, from American Roots rock, classic rock, blues and jazz to bluegrass, surf music and more. Through the years, the community has enjoyed performances by Red’s Blues, The Rowan Brothers, CW Bayer, Hick’ry Switch, Lorin and Chris Rowan, Niall McGuiness and New World Jazz Project, Jerry Miller and Bob Mosley of Moby Grape, Dave Jenkins of Pablo Cruise, Linda Merrell, Mike Beck, Barbara Baxter, The Mighty Surf Lords, Notch 8, Latisha Lewis and many others. This year we are booking great talent for your enjoyment and as each performance is confirmed we will post the information below… just scroll down to see what is coming up. Charlie has a special Veranda Menu available on these evenings as well, adding to the experience. As always, concerts begin 6 p.m.-ish, Charlie Time. 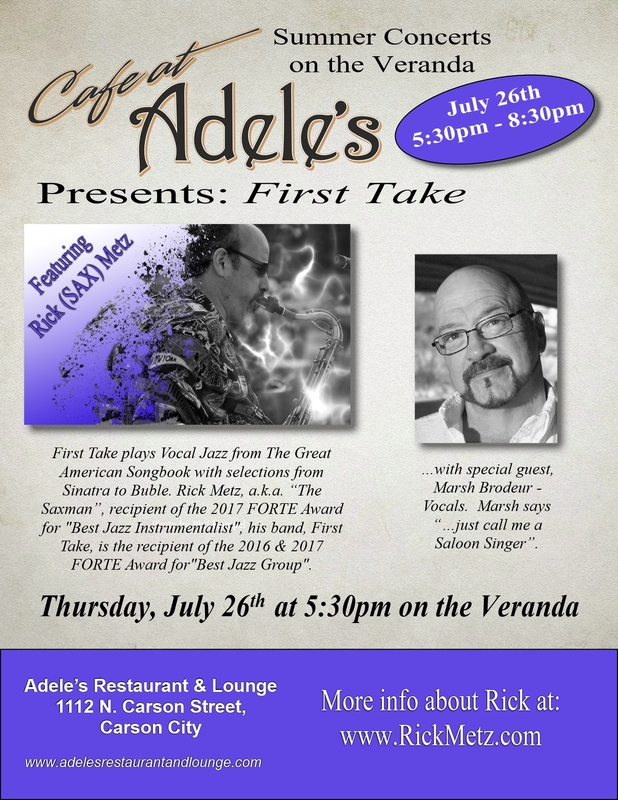 The Veranda Series is one of the most anticipated summer events in Carson City and a guaranteed good time; as such, reservations are recommended.